We are proud to provide long-term and respite options to residents at all our American Health Care facilities. Residents unable to live safely in their private home can enjoy a warm and welcoming environment with private and semi-private accommodations. Active restorative programs are in place to be certain that residents maintain their skills and abilities to live as independently as possible. Our staff is trained in activities of daily living and social activities to successfully work with the unique needs of residents with dementia. Enriching the lives of memory impaired residents enriches the lives of us all. 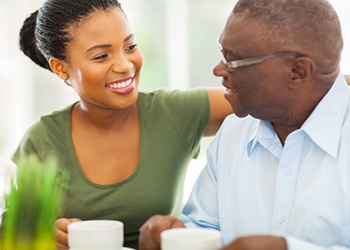 Respite care is also available to allow at-home caregivers an opportunity to travel and have a refreshing time for themselves while knowing that their loved one is being well cared for.